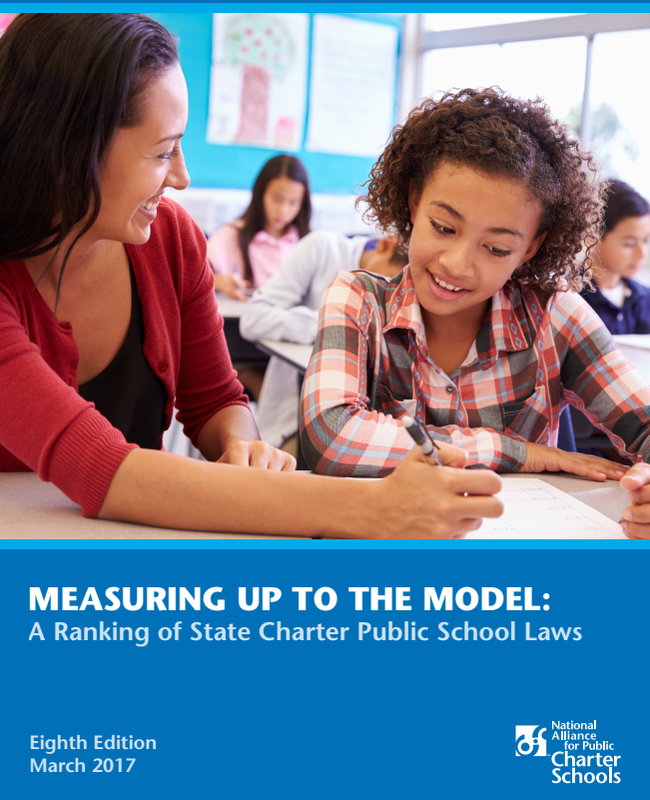 Today, the National Alliance for Public Charter Schools released its annual state-by-state ranking of charter public school laws, entitled Measuring Up to the Model: A Ranking of State Charter Public School Laws, Eighth Edition. The 2017 rankings are the first that measure each state’s charter school law against the National Alliance’s updated model charter school law, New Model Law for Supporting the Growth of High-Quality Charter Public Schools: Second Edition, which was released in October 2016. The 2017 rankings reflect new provisions from the model charter school law regarding flexibility, accountability, and equity. The 2017 rankings also reflect the continued steps many states took in 2016 to strengthen their laws and foster a landscape of high-quality charter public schools that have a positive impact on students. Measuring Up to the Model: A Ranking of State Charter Public School Laws, Eighth Edition ranks the charter school laws in 43 states and the District of Columbia. Each law receives a score based on 21 essential metrics, which include flexibility, accountability, and equity. These 21 components are drawn from the National Alliance’s New Model Law for Supporting the Growth of High-Quality Charter Public Schools: Second Edition.